Planetary scientists take their vacations when the planets align. In our case it is because communications with Mars are blacked out when the red planet goes behind the sun. It is called a solar conjunction. Afterwards, Mars will re-appear in our terrestrial skies early in the morning, just before sunrise. As the Earth chases the Red Planet, Mars will rise earlier until at opposition, when the Earth passes Mars a little over a year from now, the Red Planet will be directly overhead at midnight, e.g., directly behind Earth, relative to the sun. For the Curiosity rover team, we will cease operations this weekend. There is one more day, tomorrow, for some instruments, while others like arm instruments and ChemCam cut out early, as we want to verify it is sun safe (its focus stage parked at a safe position) before we leave the rover on its own. The team will check on the rover on August 4 and re-start full operations on August 7. 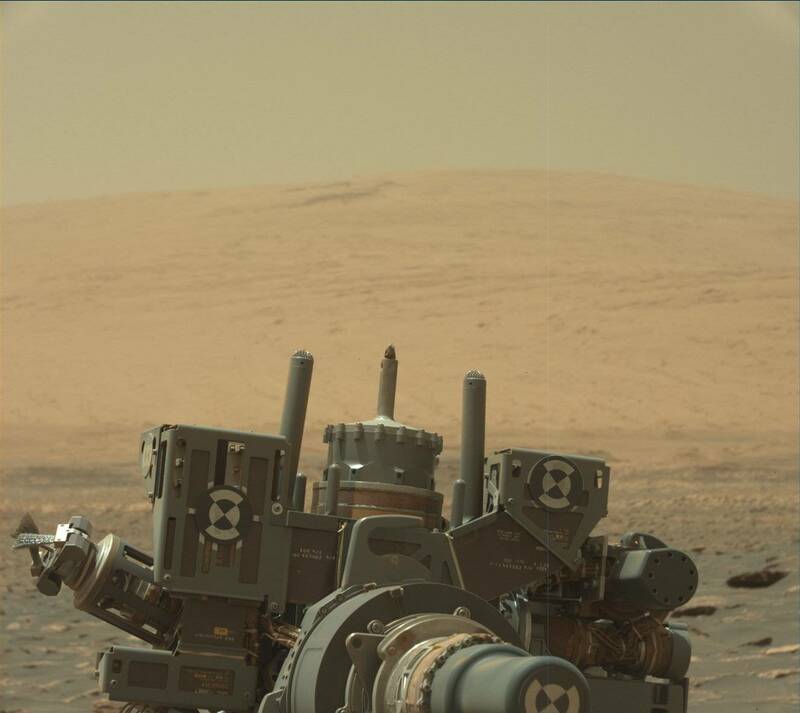 In the meantime, Curiosity might just get lonely. 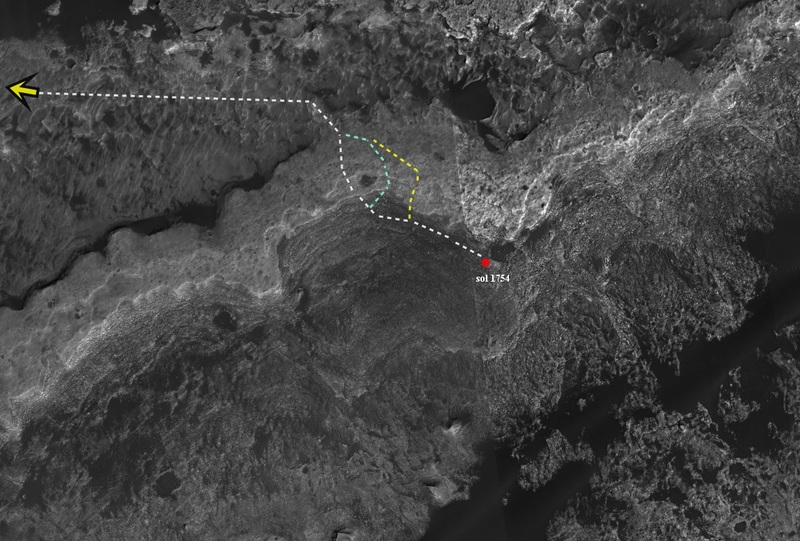 Yestersol's drive was 38 meters, bringing the mission total to just over 17 km. 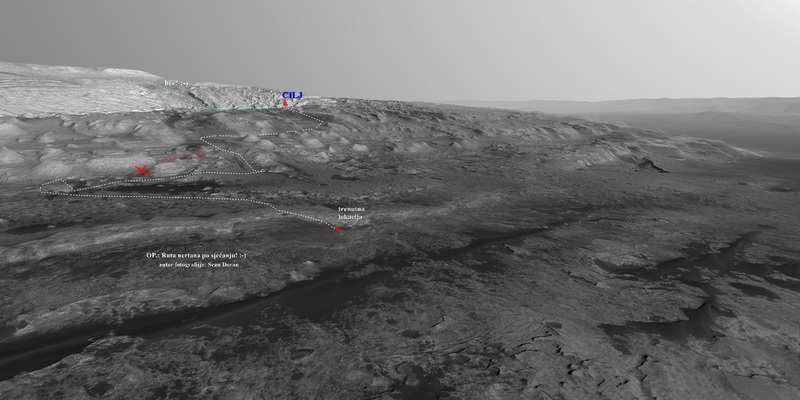 The rover is now facing a steep 20 meter high section of the ridge. 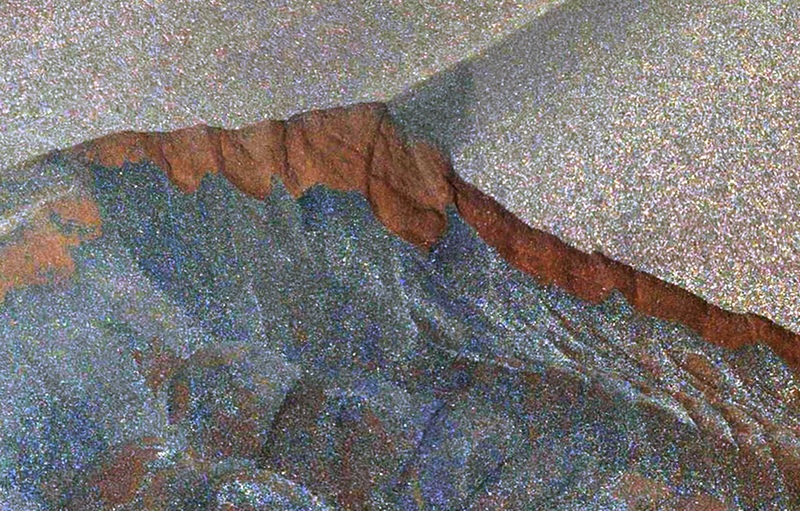 The image link shows the front Hazcam view looking straight up the ridge. We won't climb it here; there's a gentler slope to the east. Today it was decided not to drive any further before conjunction. The rover is on a ~8 degree slope right now and the team didn't want to risk a lot of slip just before conjunction. 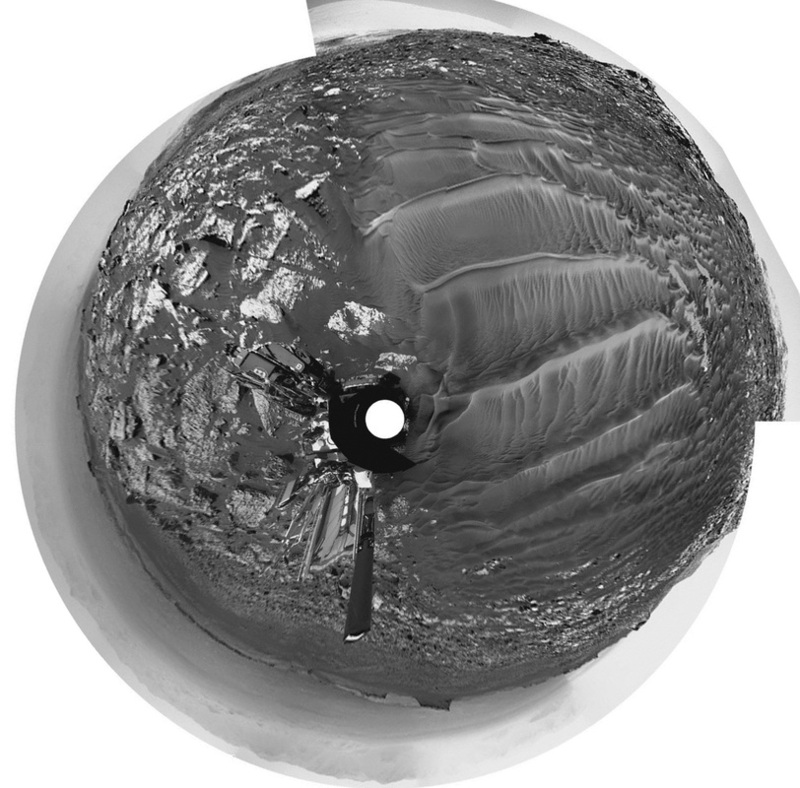 The team planned the last ChemCams pre-conjunction, with targets "Jimmies Ledge" and "Jennys Nubble." Mastcam will take a 2-image mosaic of the top portion of the ridge and provide documentation of yestersol's ChemCam AEGIS observation. 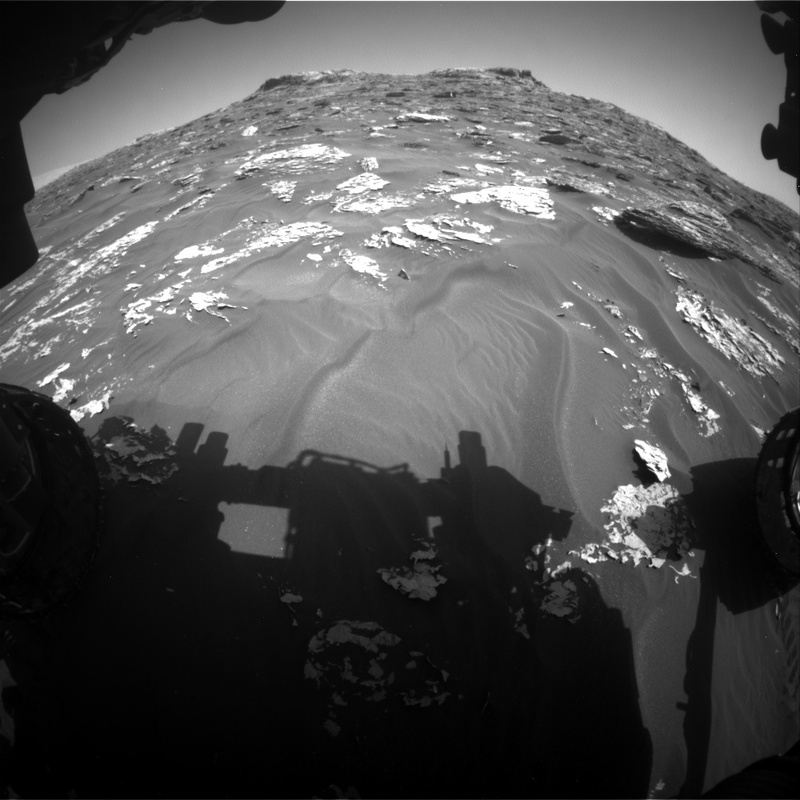 Navcam will be used to make a dust devil movie and a suprahorizon movie looking south. Morjuse držati smjera desno i samo desno, da ne bi imali gore problema sa izlaskom..
Obuhvaća 100 solova: od 1267-1367! Promjena plana vožnje prema gore...Preopasna bi bila vožnja kroz onaj usjek! 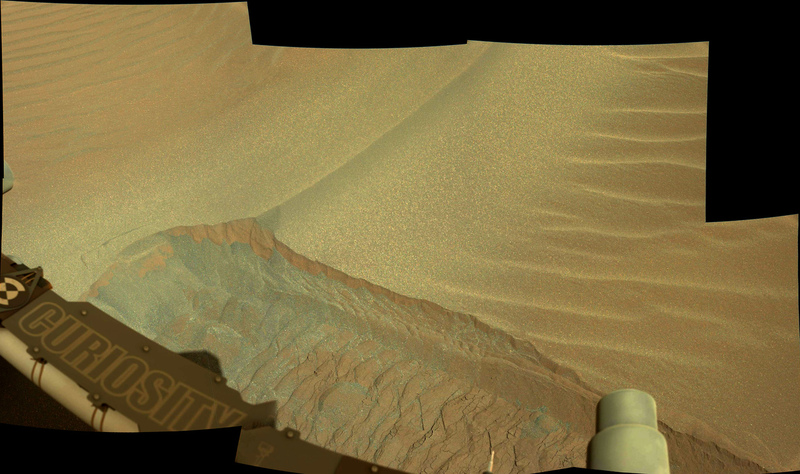 Left Mastcam image of bedrock and sand in front of MSL, acquired on 1756. As the solar conjunction stand-down comes to an end, we are easing back into operations planning, focusing on Sol 1780, which will be planned in detail on Monday. There was no SOWG meeting today, so it was a very easy day for me as SOWG Chair: We discussed plans for next week and made a few changes. 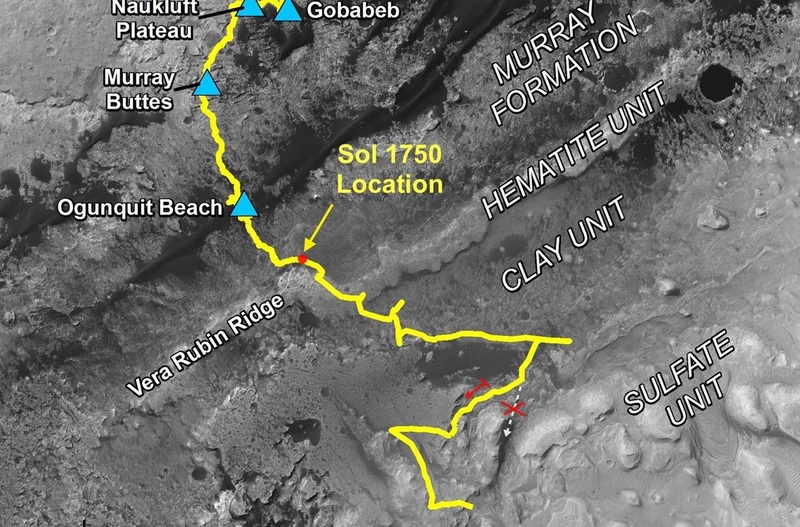 The focus of the Sol 1780 plan will be more diagnostic testing of the drill and our last opportunity to examine the current arm workspace using the remote sensing instruments. Tuesday will be a "soliday," with no tactical planning. The Wednesday (Sol 1781) plan was changed to move the drive earlier, allowing return of more of the data needed for Thursday (Sol 1782) planning. This required deleting the remote science block from the Sol 1781 plan, but a touch-and-go is still planned. We received the data we need to plan contact science and discussed potential targets. 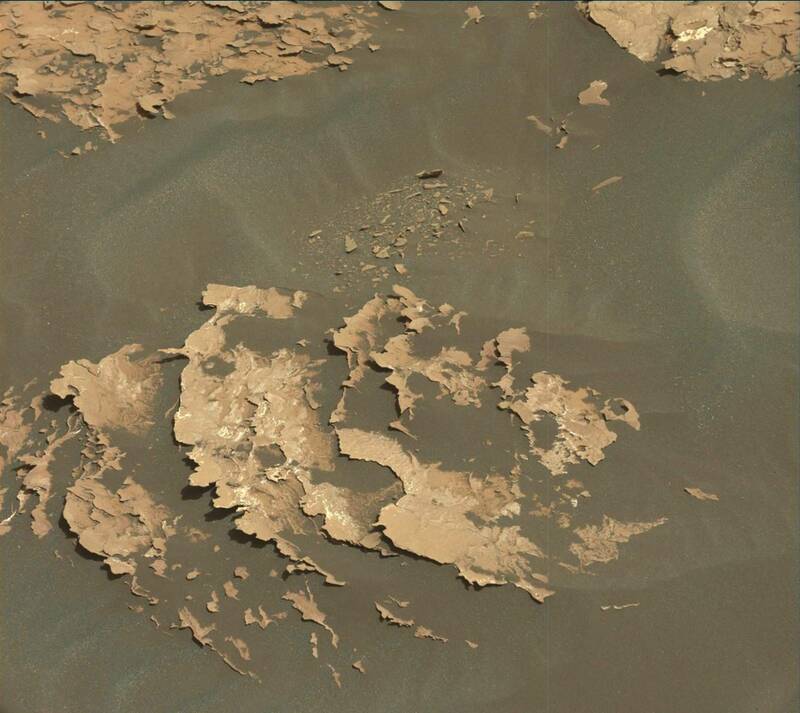 So we got a good head start on Sol 1780 planning, and look forward to returning to tactical operations next week!